Earlier in the spring I shared with you my big project for the year- finally finishing my laundry room. As a quick reminder - and for all my new followers (welcome all!) 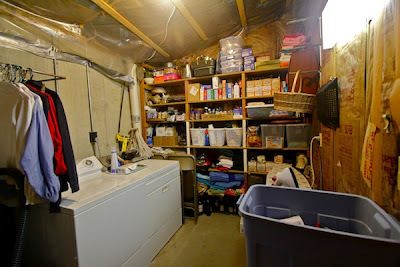 here is what my laundry room currently looks like. It is in serious need of intervention. This is not a one week quick project and I have been working on the plans for several months. 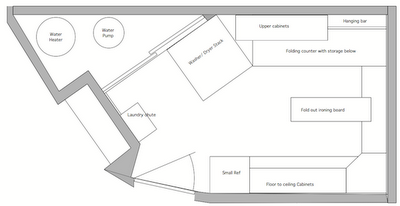 Here is my initial floor plan of hopes and dreams. Click here for more info on the plan. I had last reported that I was re-learning Sketch-up to try and create a 3-d drawing of the space because of its unique characteristics like a cathedral ceiling! Here is one view of as far as I got in Sketch-up. 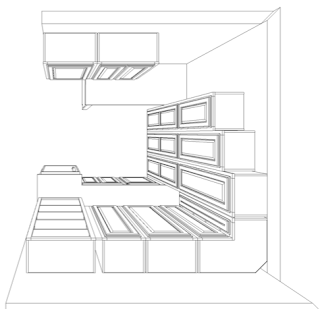 Like many drafting type programs it really has a hard time working when you have rooms with angles that aren't 90º - or at least it is challenging for a beginner (me!). 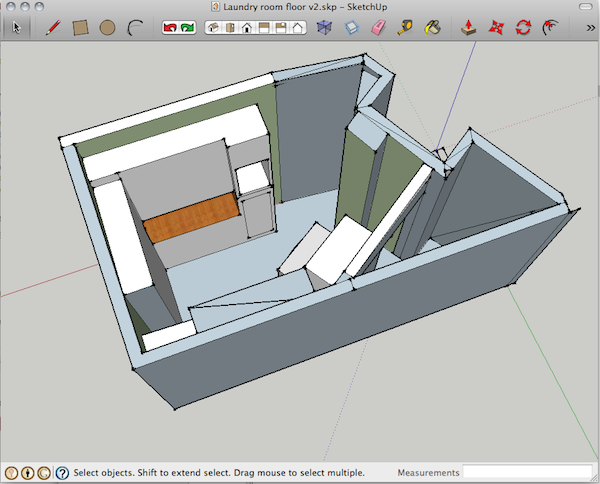 You can see how I am going to create a small utility room for the water heater and water pump in the lower right corner, and then have a wonderful laundry/pantry with lots of enclosed storage in the remaining space. Although this drawing is lacking detail, it was helpful in visualizing the space and is enough information for me to start getting quotes and lining up trades people. 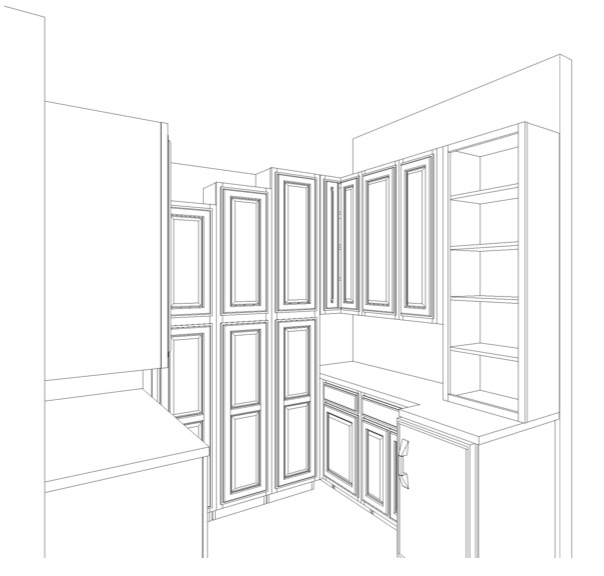 I have quotes from a plumber and a carpenter and I have gotten the first drawings of a possible cabinet layout. Check these out! 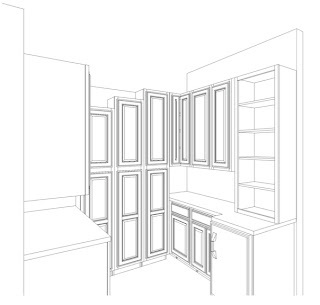 The professional program didn't handle angles well either so they just hint at where they will be, hence the staggered cabinet tops. Below is a bird's eye view which gives me the most information. By looking at these I was able to put together a list of questions and can continue working with the designer to try and create the most functional, yet beautiful space possible. Exciting times (and messes) ahead for me!